It is no secret that as we get older, our teeth lose some of their strength and durability. This can lead to many patients losing some of their teeth as they age. 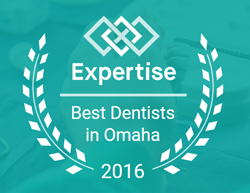 When you begin losing your teeth, it is best to get a dental consultation at Quality Dental Care in Omaha, NE where a qualified dentist will give you a rundown of your options. In most cases, dentures are the best solution when multiple teeth are missing, but every scenario is different and will require different methods of treatment. Depending on the patient’s situation, partial or full dentures may be needed. If many teeth are damaged beyond repair or are completely missing, the dentist may choose to extract the remaining teeth and prepare the mouth for full dentures. If only a few teeth are missing, dental implants and crowns may be placed or partials could be made. If a full set is needed, the remaining teeth may be extracted and replaced with dental implants. These implants will help provide stability and promote bone growth. If the teeth are not replaced by dental implants, the patient’s jaw bone could begin to deteriorate. By placing dental implants in place of the missing tooth, the jaw bone is stimulated thereby promoting bone growth. Balls and sockets are placed on the tops of the dental implants and the corresponding location on the underside of the denture to provide the patient with a more secure fit. If partial dentures are needed rather than a full set of dentures, your Omaha dentist may decide not to place dental implants. Restored Functionality- When dentures are needed to replace missing or fractured teeth, they often restore the mouth to its original functionality. In fact, it is not uncommon for patients to have their speaking ability restored as well. Improved Smile- One of the give away signs of old age is the classic gum look, but dentures can make it so no one can tell you’re missing teeth. Because they are made of material that looks and feels like real teeth, your smile will be restored to its natural glory. If you are in need of dentures or any of the other services we offer at Quality Dental Care in Omaha, NE you can contact us here or by calling 402.431.8844 to schedule an appointment. We know that our dentures will make your daily life easier and your self-esteem skyrocket. Come in for a consultation so that you can talk with one of our excellent dentists about which option is best for you. Give us a call and we will find a day and time that works for you.